d3 4x4pro media servers played a central role in Justin Bieber’s visually-intensive Purpose Tour. Michael Figge, director of Burbank-based POSSIBLE, the tour visuals team, partnered with creative director Nick DeMoura and tour director Chris Gratton to realize environments and performance looks for the show. POSSIBLE designed, shot, animated and edited 22 custom, full-song scenics plus three intro and interstitial cinematics for the tour. The Purpose Tour, Bieber’s third world tour, supported his fourth studio album, Purpose. It kicked off in March 2016 in Seattle and ran for more than a year playing 150+ shows in arenas and stadiums, with the last show in London’s Hyde Park, last month. POSSIBLE used Justin's album artwork and music videos to inspire their creative for the designs that can be seen throughout the show. POSSIBLE deployed two d3 4x4pros, supplied by VER, for the run of the tour. During the design process, POSSIBLE used its inhouse 4x4pro for previs. “We love d3 for the fluidity it affords us through the entire design process,” said Figge. “Being able to see our work in real time within the context of the stage is invaluable. It allowed us to preview stage content in a simulated real time environment and from any angle we wanted. 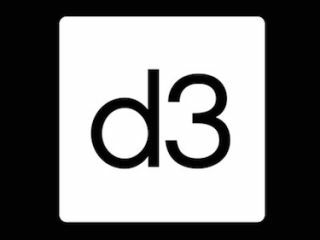 We used d3 Designer to previs content in client meetings. It enabled us to give them a real sense of movement and scope relative to the stage space we were designing for. The Purpose Tour team loved how they could visualize the content in time with the music on a 3D model of the stage. Once the tour kicked off, our d3 project files were easily packed up and toured from city to city. The show toured for a year- and-a-half, and d3 enabled the team to adapt to any content challenges that popped up."